NetBIOS names have to be unique. NetBIOS name: A unique name used to identify a NetBIOS resource on the network. The NetBIOS name is resolved to an IP address for communication to occur. Host name: A host name is assigned to a computer to identify a host in a TCP/IP network. 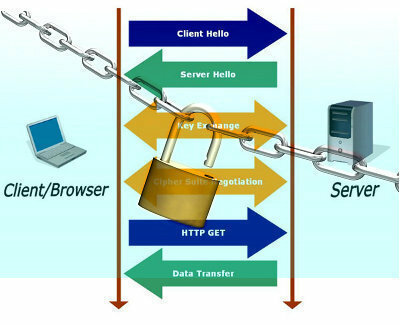 The host name can be described as being the alias that is assigned to a node, to identify it. When the host name is used, and not the IP address, the host name has to be resolved to an IP address for IP communication to occur. The HOSTS file is a text file that contains host names to IP addresses mappings. The HOSTS file is stored locally. Primary DNS suffix: Computers running in a Windows Server 2003 network are assigned primary DNS suffixes for name registration and name resolution purposes. The primary DNS suffix is also referred to as the primary domain name, or domain name. This is the name which is set in My Computer, on the Computer Name tab of the properties dialog box. Connection-specific DNS suffix: This is a DNS suffix which is assigned to an adapter. The connection-specific DNS suffix is called the adapter DNS suffix. A NetBIOS name is a unique name that identifies a NetBIOS resource on the network. NetBIOS names are 16-byte address. NetBIOS computer names have 15 characters, and NetBIOS service names have 16 characters. The initial 15 characters of the NetBIOS service name is the identical as the host name. It is the physical NetBIOS name. Zeros are used for padding. The last character of a NetBIOS service name identifies the particular NetBIOS service or resource. This character is typically referred to as the type byte. When you assign a NetBIOS name to a computer running a Windows operating system, you can only assign a 15 character name. A NetBIOS name can also include additional characters to define a NetBIOS scope. This is the method used to structure NetBIOS computers into groups. Computers that have the identical NetBIOS scope can communicate between each other. With the Windows 2000 and Windows Server 2003 operating systems, you can use Dynamic Host Configuration Protocol (DHCP) to distribute NetBIOS scopes. The NetBIOS namespace is flat. This is different to the hierarchical namespace of Domain Name System (DNS). Because the NetBIOS namespace is not as scaleable as DNS, it does not work well for large networks. NetBIOS naming should be used for private networks. NetBIOS name cache: Windows computers maintain a NetBIOS name cache that includes the most recent resolved NetBIOS names together with their associated IP addresses. The NetBIOS name cache is stored in memory and therefore generates no network traffic. The NetBIOS name cache is checked initially, and is used for name resolution before any other name resolution mechanism is attempted. 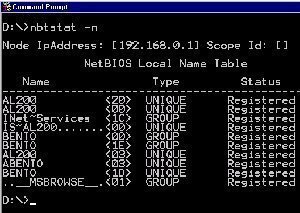 You can use the Nbtstat.exe utility if you want to examine the content of the NetBIOS name cache. When NetBIOS computers start, WINS registers the names and IP addresses of these computers. The names are stored in the WINS name resolution database. A WINS client exists for each computer running the Windows operating system. The administrator sets the IP address of the WINS server(s) on the network that the WINS client should utilize. For communication to take place between a Windows computer and a NetBIOS computer, a NAME QUERY REQUEST message is sent to the configured WINS server. The NAME QUERY REQUEST message includes the NetBIOS name of the computer with which communication should be established. The WINS server provides NetBIOS name resolution by returning the IP address that is associated with the NetBIOS name of the other computer. 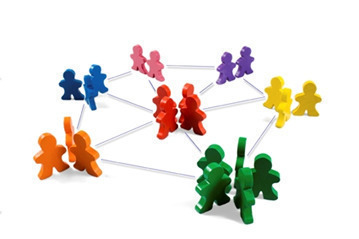 Broadcast name resolution mechanism: If a Windows Internet Naming Service (WINS) is not configured on the network for NetBIOS name resolution, NetBIOS names are resolved into IP addresses through broadcasting of the NAME QUERY REQUEST message. With broadcasting, the computer that has the NetBIOS name included in the NAME QUERY REQUEST message has to reply to the sender and return its IP address. With WINS, the NAME QUERY REQUEST message is sent as a unicast to the WINS server. Broadcasting creates greater traffic on the network than unicasts. Broadcasting is also restricted to the local network. Because of these characteristics of broadcasting, WINS is considered a more efficient method to resolve NetBIOS names into IP addresses. LMHOSTS files: LMHOSTS files are text files, similar to the HOSTS files used for name resolution for TCP/IP based networks. The HOSTS files contain host name to IP address mapping. A LMHOSTS file is the lookup table that is much like a HOSTS file, but is used for NetBIOS name resolution. Each computer has to have a copy of a LMHOSTS file. LMHOSTS files can resolve the NetBIOS names of servers that exist on other LANs. 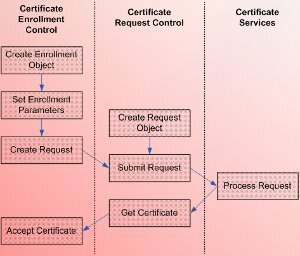 LMHOSTS files have to be manually maintained by administrators. This means that they have to be updated by someone whenever the network changes. If the computer is set up to utilize a Windows Internet Naming Service (WINS) server for name resolution, the NetBIOS name cache is first checked to determine whether the NetBIOS name can be resolved. If the NetBIOS name is not in the NetBIOS name cache, the NAME QUERY REQUEST message is sent to the configured WINS server. If the WINS server cannot resolve the NetBIOS name, the broadcast name resolution mechanism is used. Computers that have no configured WINS server use the broadcast name resolution mechanism after the NetBIOS name cache is checked. If the broadcast name resolution mechanism is unsuccessful, the LMHOSTS file is used for name resolution. When computers use different name resolution mechanisms to resolve names to IP addresses, the process is called nodes. Nodes can be defined as the combination of the different name resolution methods used by a NetBIOS computer to resolve a NetBIOS name to an IP address. This process was outlined in the preceding section of this Article. The NetBIOS node types are configured locally on each computer. You can distribute the NetBIOS node types through a Dynamic Host Configuration Protocol (DHCP) server. NetBIOS name server, such as a WINS server. All node types first check the NetBIOS name cache for name resolution. All Windows 2000, Windows XP, and Windows Server 2003 computers that are not using a WINS server for name resolution, are using Microsoft Enhanced b-node for name resolution. The NetBIOS name cache is first checked for name resolution. Following this, the broadcast method is used. This would determine whether the FQDN naming convention is used. If it is used, the request is sent to the DNS server for name resolution. Following this, the configured node type is implemented. If the Enhanced b-node method is used, the order changes as follows. All Windows 2000, Windows XP, and Windows Server 2003 computers that are not using a WINS server for name resolution, use Enhanced b-node for name resolution. Select Internet Protocol (TCP/IP), and then click the Properties button. The Advanced TCP/IP Settings dialog box contains four tabs (IP Settings, DNS, WINS, Option). Click the WINS tab. The Enable LMHOSTS lookup checkbox should be selected. Click the Import LMHOSTS button. Click OK to close the Local Area Connections dialog box. Click Start, Run, and enter regedt32.exe to open the Registry Editor. Select the Parameters registry subkey, and click Add Value from the Edit menu. In the Value Name field, enter ScopeID. Select REG_SZ in the Data Type box. Click the Disable NetBIOS Over TCP/IP option. 206 queries in 0.328 seconds.